It’s the day of your dental checkup. You may have a nervous feeling or are becoming increasingly anxious. The closer it gets to your appointment time, the more you dread the visit. In fact, you come up with every possible excuse to skip your appointment. You “forget” appointments, you reschedule. If this sounds like you, you’re not alone. An estimated 40 million dental patients in the US experience some form of dental fear or anxiety. Even those patients who do not fear visiting the dentist often don’t enjoy their appointments. 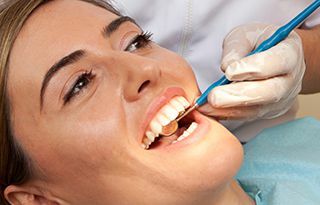 At the dental practice of Forest Hills dentist, Dr. Robert Miller we are dedicated to treating the whole patient in order to make them feel relaxed, and even look forward to visiting the dentist. When patients arrive at our practice, we don’t just jump straight to treating their teeth. Instead, we take time to get to know them, so patients understand our team actually cares about their oral and overall health. We think of this as getting to the heart of the patient’s goals. Then, we discuss questions, concerns, past experiences, and future health goals. We understand how patients think of visiting the dentist and what their views on oral health really are. Once we have helped patients understand any emotional or logical blocks that might prevent safe, comfortable care, we can begin talking about how best to achieve and maintain the optimal level or oral health while avoiding stress, anxiety, discomfort, and dental fear. Contact Our Forest Hills, NY Dental Office Today! Whether you love visiting the dentist or dread it, Robert Miller, DMD and his team would love to help you achieve your oral health goals. Contact us to schedule an appointment or find out more about our gentle, comprehensive dental care.